Joint Appointment lecturer in Mental Health and Practice Development lead, My Care Academy. There is a drive towards blogging from experience and sharing professional perspectives online. Why is this important for academics, students or healthcare professionals? I know I wondered the same question up until last year. 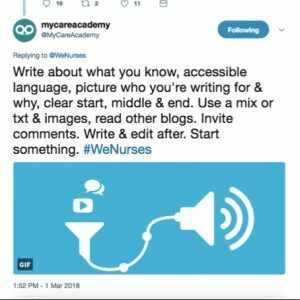 Since I started my lecturing post at Middlesex University and began working with the My Care Academy I discovered the value of blogging and how useful it can be for career development and learning. 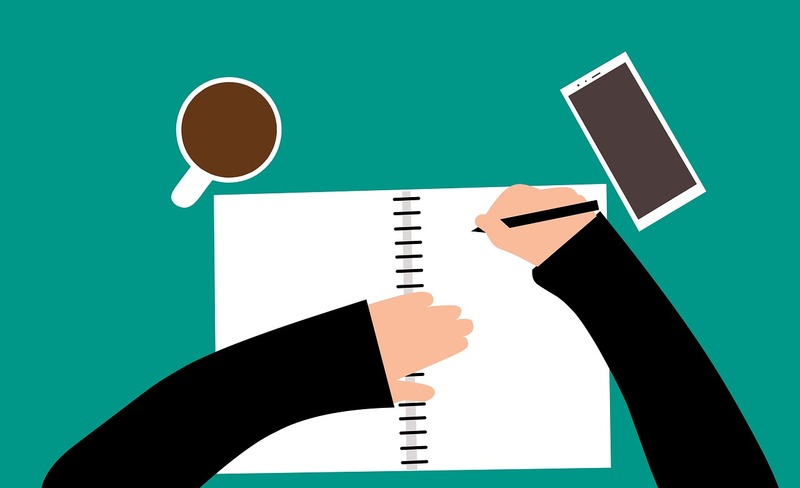 Read on to discover more about how blogging is useful for continued professional development (CPD) and for increasing your professional networks. Whether you are providing a viewpoint from your specialism, or a reflective piece from experience, you could write about anything professionally (within reason!). Write about things that you are passionate about or have a good insight on that you think is relevant and useful for others within your networks. For example I chose to write my first blog on something that was of interest to me, sharing how I went from a Twitter novice to a regular user: ‘Twitter as a powerful tool for healthcare professionals and students’. 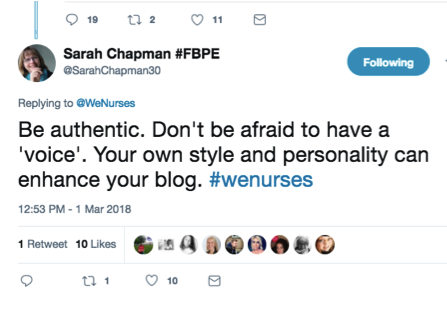 Reflecting on how I felt about the prospect of blogging a year ago when @Cameron_Fiona our Digital Communication Manager ran a blogging workshop for the My Care Academy team, I remember I wasn’t initially keen. I didn’t have a great deal of confidence, I’d never blogged before. I worried about how I may come across online – who would want to read my blogs anyway? Fiona coached me and gave me some great blogging tips, and by working together on the first interview style blog I realised that it was easier than I thought. With practice, my confidence in writing blogs has developed, and I have learnt that a common sense approach is required to write balanced blog posts, ideally in an accessible and friendly tone. Anyone who is considering blogging professionally should check the social media guidelines of their organisation and professional bodies and read blogs written by their peers for inspiration. The NMC’s guidance on the use of social media is very practical and useful, read it here. If you are writing professionally to share your knowledge and experiences with others, or to seek feedback on your work then a common sense approach is what’s needed. You’ll soon discover that social media codes all have a common theme: don’t be rude, abusive, or stupid online. Be as professional as you would be in person. It’s also very useful to have a clear idea of who you’re writing for and what’s useful for them to read and you’ll soon find the writing flows easily. You must have undertaken 35 hours of continuing professional development (CPD) relevant to your scope of practice as a nurse or midwife in the three year period since your registration was last renewed, or when you joined the register. So 20 hours of your 35 hours of CPD can be from participatory learning e.g. online learning via social media, online forums and blogs and reflection. Blogging can be a fun and interesting way to further your personal and professional goals. Plus it’s a great way to expand your professional network and collaborate with your peers online so you also learn from the feedback and comments you receive on your blog. One thing I always say to my students is ‘little and often’. Learning can be achieved in short bursts if done regularly, and I realised I had to take my own advice when it came to blogging. This helps me write without distraction unlike writing in a Word Doc. I prefer using Dropbox Paper as the content within it is synced across all my devices, so I can edit on the go e.g. mobile phone, tablet, PC. If I get inspiration on the commute to work I can quickly capture and add to my draft blog. I even started a blog organiser index within Dropbox Paper as I’ve got different blogs at different stages. I can start a blog – leave it – reflect and add to it. Or dive into another when I get inspiration. Usually I’ll dedicate a time in my diary when I’m free to tie it all together. It helps having your thoughts and ideas together in one place that you can keep going back to. For those who are regular bloggers, actively sharing the positive elements of blogging can raise awareness and encourage others to write their own blogs. 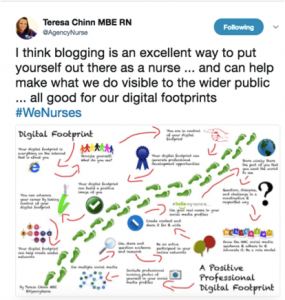 Along my blogging journey I’ve found a variety of helpful resources and blogs, including MeFirst, the RCN and WeCommunties . Write a list blog; for example what are your ten top tips for new students or Newly Qualified Nurses? 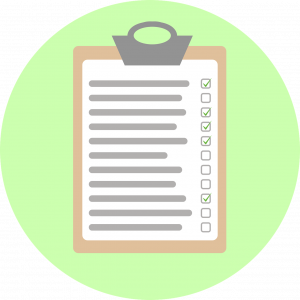 In terms of structuring your blog, you could use a framework, or start with a question. If you are a regular Tweeter you are effectively already micro-blogging, so almost there. Writing a blog is just a few more words! 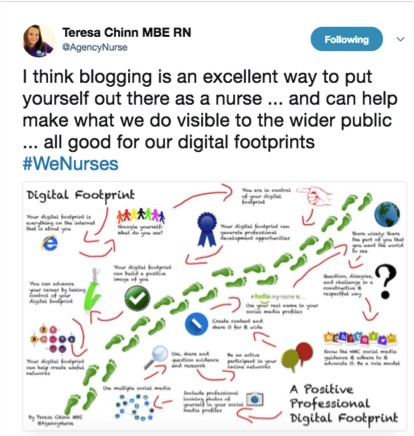 Professor Jane Cummings (Chief Nursing Officer for England and Executive Director at NHS England) is a regular blogger and Tweeter (@JaneMCummings), who launched #70nursebloggers and #70midwifebloggers. This is an initiative aiming to inspire at least 70 nurses and 70 midwives to blog about their work, share ideas/best practice and spark debate that can help shape the NHS of the future. You can read more about it here. Another source of inspiration to read and follow online is Teresa Chinn MBE founder of WeCommunities for healthcare. She is a Nurse and social media advocate in healthcare, who is passionate about creating online nursing communities. Starting your own blog can feel like diving into the deep end of a swimming pool. Why not dip your toe into the shallow end and write a guest blog instead? The Student Nurse project website is a great example of an online community which helps encourage student nurses to blog under one umbrella website, promoting true collaboration. It’s ‘Information for student and newly qualified nurses’ provides relevant reading for anyone lecturing in nursing, running a preceptorship program or considering a career in nursing. You can visit The Student Nurse Project guest blog page here. Has this inspired you to write a short blog or are you still on the blogger fence – what’s holding you back? Or do you blog in your personal life but have never considered it professionally? 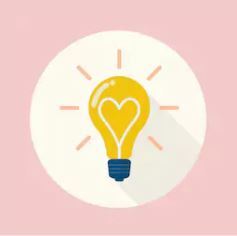 If you already blog and have been inspired by some key bloggers let us know in the comments. Share them below!